John’s life had been quite smooth. He graduated from university with a Bachelors degree in social sciences and was fortunate to land his first job within months of completing his university degree. He had a successful career working with a multinational company for decades, where he climbed the career ladder to mid level management before he was 50. He had married his high schools sweetheart and they were blessed with 4 children. John’s wife was a secretary at a tertiary college. All was going well for John and his family until a time came when the company he worked for went through a restructuring phase and John found himself among those whose services were no longer needed. He had worked for the company for over a decade and since he was already in his early 50s, his employer gave him the chance to go into early retirement. He was therefore able to get his retirement benefits. John had conditioned himself that he still had some years to go before he retired so early retirement sort of threw him off balance. By that time, 2 of his children were in high school and 2 were in primary school. John did not have any retirement plan in place. He immediately registered a consultancy firm and proceeded to hire office space in a prime part of the city. With his retirement benefits, he was able to pay office rent for 6 months upfront. Everything in John’s lifestyle remained the same. He drove the same car, his children went to the same schools and his family lived in the same rental house and he still spent his evenings and weekends either watching TV at home or out socializing and drinking with his friends. As a new entrepreneur, John continued with his life the same way he did when he was in employment. He did not package, brand and market his services. His profiles on different social media platforms remained unchanged. 3 years from the time John left employment, his profiles still read that he worked for such and such an organization, even though he now owned a consultancy firm. He had no blog, no website, nothing to tell the world about the business he was building. His posts on social media remained the same. He participated in discussions about soccer – and especially European soccer – and politics. There was nothing to tell people in his circles that he was in business. Even a Google search about him would have yielded nothing about his business. Life for John went downhill quite fast. Conflicts became the order of the day in his marriage because month after month he was not able to meet his obligations. His wife found herself shouldering the responsibility of providing for the family, which strained their relationship. John’s drinking increased as the situation at home deteriorated. With increased drinking, communication in the family became a challenge and he became hostile and abusive to his wife, eventually leading to separation. Living alone after his wife and the children left had a toil on John. He sometimes would drink until he blacked out in bars. Sometimes he slept outside on the pavements because he was too drunk to get home. He contracted pneumonia after sleeping outside on a cold and rainy night. Living alone and with no one to take care of him did not help things. By the time he eventually went to hospital, his condition was very bad. He passed away that week, slightly over 5 years after he left employment. Over the years, I have seen many people retire from formal employment. Some have made some costly mistakes, like John did. Retirement benefits are a one-off payment and if one does not realize that, it is very easy to spend that money unwisely then face years without a source of income. Some people spend their retirement benefits setting up a home in their rural villages and investing in farming. This is mainly because of the belief that life in the rural areas in cheaper than in urban centres so it is a good option for people without a source of income. Farming is a capital intensive and high risk business and if it is not done commercially, it can drain one’s resources without giving returns. Farming can become a hole where one’s money gradually disappears and within a number of years, the money can be depleted. Maybe you love farming and you enjoy doing it. If you are not going to do it commercially – meaning that you will not put in the work of doing market research to find out what products are in demand, who the customers are, who the competitors are and compare prices as well as aggressively market your produce and keep track of your cash flow – then you might want to keep farming as a hobby but don’t sink all your money into it expecting it to pay you. For people who invested wisely during their years in employment, their investments can continue to earn them income for the rest of their days. Some people retire when they have already invested in rental houses and others have invested in stocks and shares. For those who are caught by retirement when they don’t have investments, all is not lost. One can live another 30, 40 years after retirement, which is equivalent to the years one spent in employment. It is very important to plan carefully for those years. Learn to count your cents otherwise you could find yourself broke within a few short years. 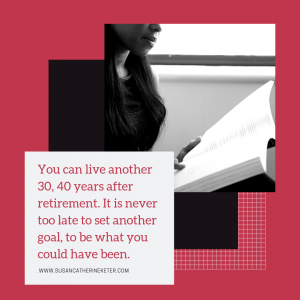 There is no reason why one cannot build a new career after retirement and spend the next few decades living a productive life and earning income. Some of the world’s successful people did not achieve success until their 50s, 60s or 70s. 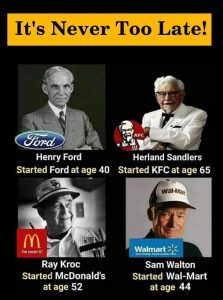 There is no age limit when it comes to achieving one’s dreams. I have seen many people retire, spend their retirement benefits unwisely then spend the remaining years of their lives broke and dependent on other people. If you do not own a retirement home, it might be unwise to spend your retirement benefits to build one. You might need to put off building a home until you have a reliable source of income. You would be wise though to downgrade your lifestyle, move to a cheaper house if possible. Do not make a rushed decision to relocate to the rural area, believing that life is cheap there. As already mentioned earlier, farming is a capital intensive, high risk venture that could end up draining all your money. If you were not in farming already, do not start with your retirement benefits. What would happen should you lose your entire investment after purchasing land, building a house on it, investing in infrastructure such as power supply and borehole, purchased animals such as cows only for the venture to fail? What if circumstances change over the years and the land you live on becomes an object of family wrangles after you have invested all your money there? Many times people panic upon retirement and they rush to make decisions that they live to regret. It is better to move to a cheap rental house and focus on creating income than to spend your entire retirement benefits on putting up a home then you end up broke in that home. Do not rush to make major decisions such as relocating to a new place. Take time to evaluate all factors about the place you wish to relocate to. Think long term. It is never too late to learn new skills or to be innovative with skills and talents that one already has. Think of the experience you have accumulated over the years; dating and relationships, marriage, parenting, career and so much more. Starting a business that is based on your skills and expertise, hobbies, talents and passions does not cost much. You can afford to experiment with that until you find out what works for you. There are many people out there who can benefit from your experience and would be willing to pay for your services if you could package them well. There are some basic things one needs to learn about the transition from formal employment to self employment. The transition requires some changes to oneself and also to one’s lifestyle. To venture into self employment successfully, one needs to make changes such as to one’s circles, daily habits and also the way one spends their time and their money. John could have done well to downgrade his lifestyle until he got back on his feet financially. He could have moved his family to a cheaper house, downgraded his car and probably even moved the children to cheaper schools until his finances stabilized. He could also have avoided spending a lot of money paying for an expensive office. He could have started off working from home and marketed his business aggressively mainly online by having a blog or a website and also branding himself on social media. People might not have heard of the company before but they would know about it from him and if they searched online, they would have found more information about it. Money put to branding and marketing would have been put to better use than the one spent on office space. It also does not pay to maintain the same circles and routines one had while in formal employment. It takes deliberate effort to surround oneself with people who help one on the journey to becoming successfully self employed. Attend events and forums where you are likely to mingle with others in the same industry and in business in general. Hanging out with friends who are in their comfort zone because they are still in employment does not help the person who is trying to become successfully self-employed. Continuing with the same routines after leaving formal employment and more so when one is trying to build a career is counter productive. Building a business requires effort, focus and discipline. To build a business from scratch often requires one to put in long hours and to sacrifice a lot of entertainment, socializing and even family time. John behaved as if he still had the security of a job which was not the case. I compare entrepreneurship with the 3 stones that are used to make the traditional fire. John had one of the 3 stones required to build a successful business. He had professional skills, having had a successful career spanning decades. He needed to work on himself, to transform himself from an employee to an entrepreneur; his mindset, daily habits, his circles, etc. He also needed to acquire business building skills: leadership skills, managing cash flow, decision making, branding and marketing, etc. To be able to cook a meal using the traditional fire place, it is important to have the 3 stones in place. The same case applies to becoming successfully self-employed. It is important to have all the 3 pillars in place. Many people leave employment and venture into self employment but they fail to put in place the two remaining pillars, leading to business failure. It is possible to be very good at one’s profession and still not succeed to build a successful career as a self-employed individual because one or two of the 3 critical pillars are not in place. It is never too late to set another goal. It is not too late to start another phase in one’s career and become successful at it at whatever age, even after retirement. Have you had a successful career in your field? You can go into career coaching. You can even start something entirely new, put in the effort and build something successful. What gap can you fill in society? Offer professional services in line with your expertise, such as offering book keeping services, training services, writing, design, organizational capacity building, etc. You can be retired but not tired. You have accumulated a lot of experience that you can share with others. How about packaging, branding and aggressively marketing your services? 30, 40 years is a long time to be unproductive, to settle for a life that you don’t enjoy. Choose to life a fulfilling life after retirement, to thrive.